Betty M. (Ryan) Gill passed away peacefully at her home on Saturday January 19, 2019, at the age of 90. Born in Fairfield, Iowa on May 31, 1928, she was born a twin, along with her brother Bill Ryan. Betty spent most of her early years in Anderson, Indiana and graduated from Anderson High School in 1946. In high school she worked for a lawyer who was a good influence on her and very encouraging. He later became a United States Congressman and sent a telegram congratulating Betty on her marriage. Betty met John R Gill (Bob) the love of her life on a blind date in 1947 and were engaged two years later spending the evening at the Indiana Roof Ballroom in Indianapolis. They married in 1950. Betty was a devoted wife and mother to four children. She found great pleasure in cooking and preparing meals every night for the family. She sewed, baked, volunteered at school and was actively involved with the Delta Epsilon chapter of Tri Kappa which her mother-in-law, Alcyon Gill founded. She was also active at the Albany United Methodist Church for many years. In later years, she played bridge and became an avid golfer, playing at three courses. 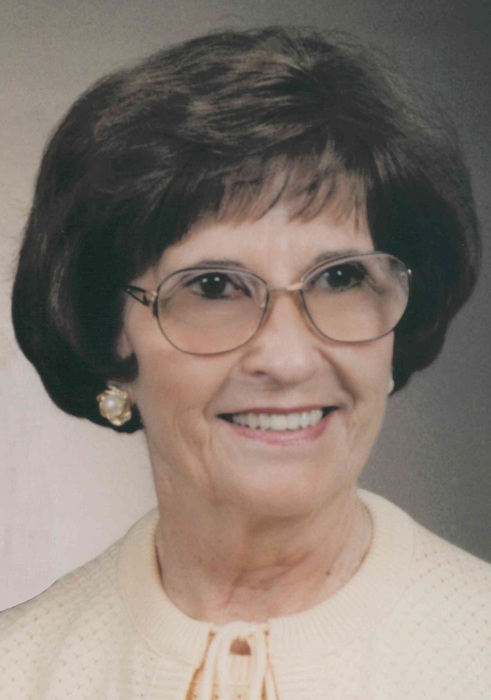 She was past president at Walnut Grove, Elks Ladies Golf, and Delaware Country Club. Betty cherished her faith and was especially kind and gentle and enriched the lives of all those she touched. Surviving are three daughters: Mary Hurt (Darryl), Albany, Tish Flavin, Fort Lauderdale, FL, and Jane Gill-Ley, Indianapolis; a son: Steve Gill (Marina), Muncie; twelve grandchildren: Lindsay Peters (Fred), Michael Hurt, Shamus Flavin, Eleanor Flavin, Susan Flavin (John), Julie Crawford (Harry), Kris Cauble (David), Mary Kate Pratt, Ryan Gill (Laura), Chris Gill (Stacy), Whitney Ley, and Preston Ley; eight great-grandchildren; her dear sister: Dee Stottlemyer (Charlie), Sarasota, FL; two sisters-in-law: Ellen Ryan and Dona Ryan, and many loving nieces & nephews who have treated her with a great amount of respect through the years. Betty was preceded in death by her husband of 56 years, Bob Gill; her amazing mother: Leota (Ward) Ryan; her father: James Hughes Ryan; three brothers: Pat Ryan (Mary Jane), James Ryan, and Bill Ryan; a sister: Earline Pickle (Frank); a brother-in-law: Jim Gill (Barbara); a son-in-law: Patrick J. Flavin, and her grandson: J.J Flavin. Jane, Steve and Tish would like to thank Mary and Darryl for the love and great care they gave to Mom these past few years which allowed her to stay at home after being diagnosed with Alzheimer’s. Thank you to the Albany community for your compassion towards our dear mother. Family and friends will gather on Sunday from 3-6 p.m. at Meacham Funeral Service, Albany. Services will take place 12 p.m. Monday, January 28, 2019 at the Albany United Methodist Church. Burial will follow at Strong Cemetery. Memorials may be sent to Albany United Methodist Church, P.O. Box 277, Albany, IN 47320 or Great Lakes Hospice Foundation, 2751 Albright Rd., Kokomo, IN 46902.